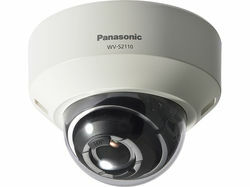 The Panasonic platform is a native end-to-end H.265 system that delivers extreme enhancements in image quality, system reliability, IP security and embedded intelligence. Available in the new line of Panasonic cameras, recorders and management software, i-PRO Extreme delivers Extreme Visibility, Compression, Reliability and Data Security. Robust, end-to-end IP data security.